The Holy Roman Emperor writes a letter to Pope Gregory VII condemning him as a usurper of the papacy. Birth of Christian Freiherr von Wolff in Breslau, Germany (now in Poland). 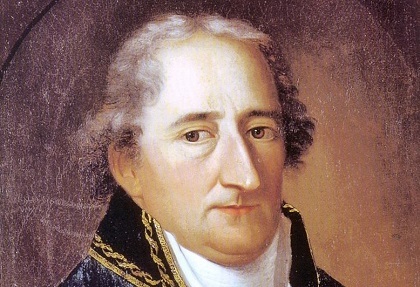 Wolff was a philosopher and mathematician of the Enlightenment. He studied with Leibniz and on his recommendation was appointed to a position at the University of Halle in 1707. His work and thought center around the idea that all things must have adequate (understandable) reason for occurrence. Birth of E. T. A. Hoffmann (1776-1822) in Königsberg, Germany (now in Russia). 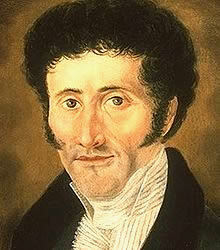 Hoffmann was the Edgar Allan Poe of his age, known for his tales of the supernatural and mysterious. Hoffmann became the central character in Offenbach’s The Tales of Hoffmann. Hoffmann’s tales also gained a part in Wagner’s Die Meistersinger von Nürnberg, Hindemith’s Cardillac and Tchaikovsky’s The Nutcracker. Birth of Karl von Holtei in Breslau, Germany (now in Poland). 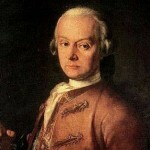 Von Holtei was a composer of light operas and a novelist. Among his works are Der Alte Freiherr (1825), and Lenore (1829). 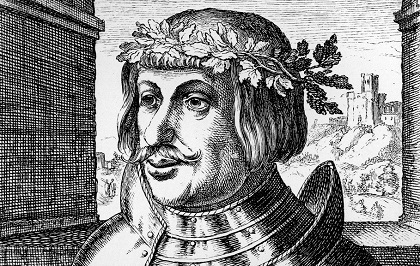 Birth of Karl von Staudt in Rothenburg, Germany. Staudt was the mathematician who developed the theory of imaginary points, lines and planes. 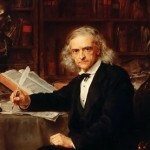 He taught at the Polytechnic School of Nürnberg and the University of Erlangen. 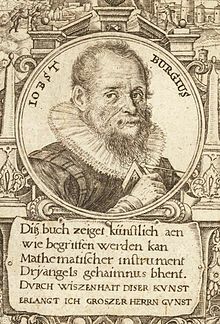 He did research on the arithmetical properties of Bernoulli numbers and was co-developer of the “Von Staudt-Clausen theorem”. 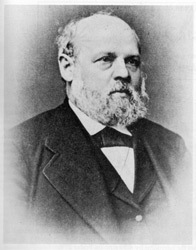 Birth of Ferdinand Cohn (1828-1898) in Breslau, Germany (now in Poland). One of the founders of bacteriology, Cohn earned his doctorate from the University of Berlin at age 19. Thereafter he taught at the University of Breslau. His early work involved the life cycles of algae. He started his work with bacteria in 1868. He discovered the production of endospores among bacteria. 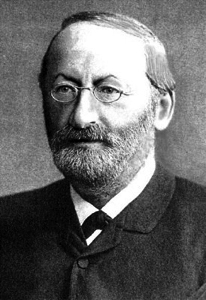 He was the first to recognize the abilities of young Robert Koch and gave him the opportunity to publish in his journal Beiträge zur Biologie der Pflanzen. Birth of Hermann Ebbinghaus (1850-1909) in Barmen, Germany. The psychologist, Ebbinghaus developed experimental methods for the measurement of rote learning and memorization. He taught at the universities of Bonn and Berlin. 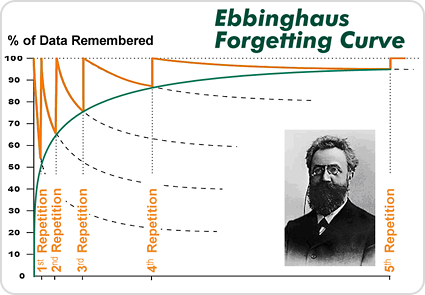 Ebbinghaus was the developer of the concept of the “forgetting curve”. Death of Heinrich Geissler (1814-1879) in Bonn, Germany. Geissler was a glassblower who had a shop in Bonn where he made scientific instruments. The Geissler pump and the Geissler tube are named for him. Birth of Vicki Baum (pen name of Hedwig Baum) in Vienna, Austria. A novelist, Baum lived in Vienna, Darmstadt and Berlin. Her first success was Menschen im Hotel (1929) which was produced as a film, Grand Hotel, and won an Academy Award. It was later produced as a film and Broadway musical, Weekend at the Waldorf. After her success in the United States she immigrated and became a Hollywood screenwriter. Birth of Ernst Heinrich Heinkel (1888-1958) in Grunbach, Germany. Heinkel was the chief designer for the Albatros Aircraft Company in Berlin prior to World War I. After the war he founded the Ernst Heinkel Flugzeugwerke in Warnemünde. 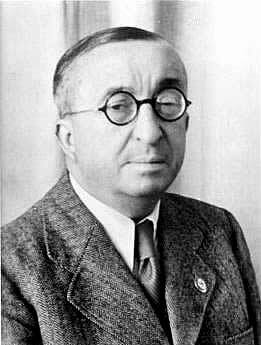 He produced the He 70, the He 176, the He 178, the first turbojet, the He 111 and the He 162. Heinkel was tried for war crimes, but released. In 1950 he founded a new company which produced bicycles and motorbikes. Birth of Albin Zollinger in Zürich, Switzerland. Zollinger was an Impressionist poet. Among his books of poetry are Gedichte (1933), Haus des Lebens (1939), and Das Gewitter (1943). Birth of Oskar Morgenstern in Görlitz, Germany. An economist, Morgenstern taught at the University of Vienna. After the rise of the Nazis he immigrated to the United States and taught at Princeton University and New York University. His most noted book, written with John von Neumann, applied games strategy to business, is Theory of Games and Economic Behavior (1944). Birth of Gottfried von Einem (1918-1996) in Bern, Switzerland. 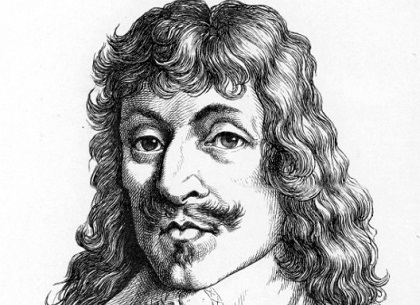 Einem was a composer known primarily for his operas. He composed Dantons Tod (1947), Der Prozess (1953), Der Besuch der alten Dame (1971) and Jesu Hochzeit (1980).